Be the first to here about our latest and greatest offers and deals. Subscribe to our Newsletter to make sure you never miss out. 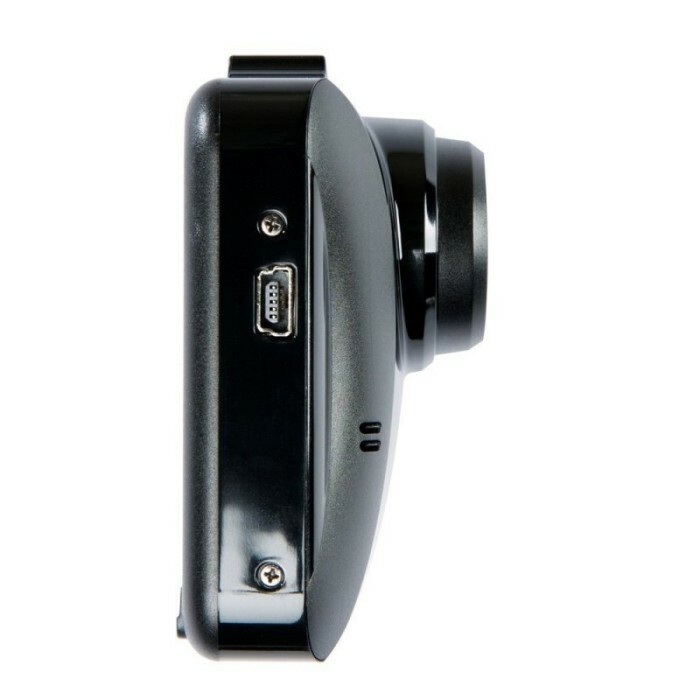 Featuring a large ƒ/1.8 aperture and high-quality camera lens, the DrivePro 100 can automatically adjust to different lighting conditions to capture all details of an incident, including license plates, during either daytime or nighttime. With a built-in Li-Polymer battery, there's no need to worry about sudden power failure caused by traffic incidents. When the car loses power, DrivePro 100 continues to record for up to 30 seconds to ensure the important evidentce is captured. Alternatively, the DrivePro 100 can be manually activated to record up to 30 minutes on a fully charged battery without a power supply. The convenient snapshot feature allows you to take photos while recording video. During an incident, you can also remove DrivePro 100 from the vehicle to capture collision damage on the spot. 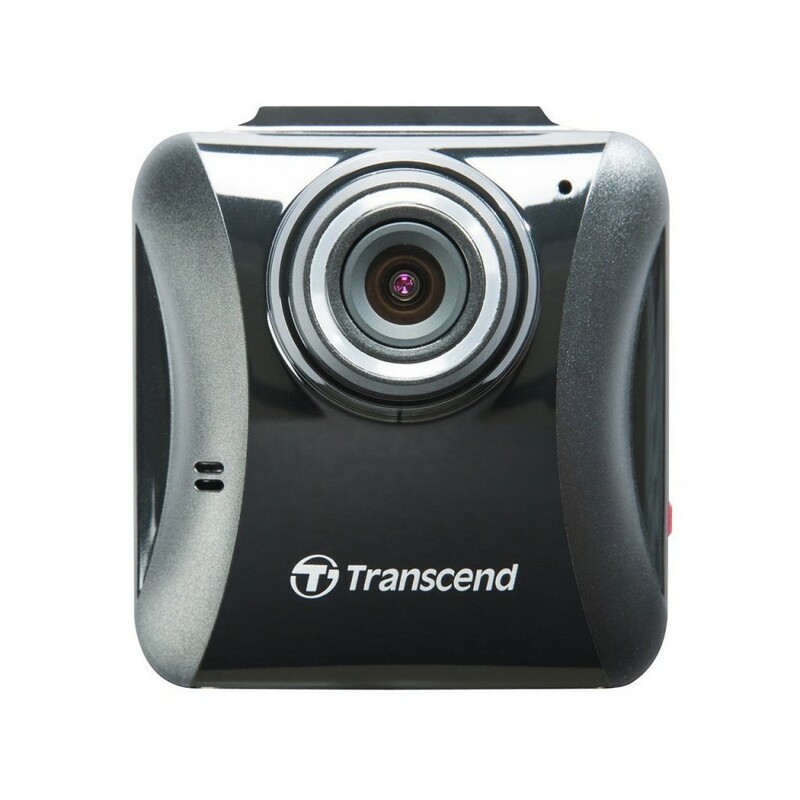 The DrivePro 100's camera integrates a wide 130° viewing angle and a Full HD imaging sensor for clear and smooth 1080p (30fps) recordings. 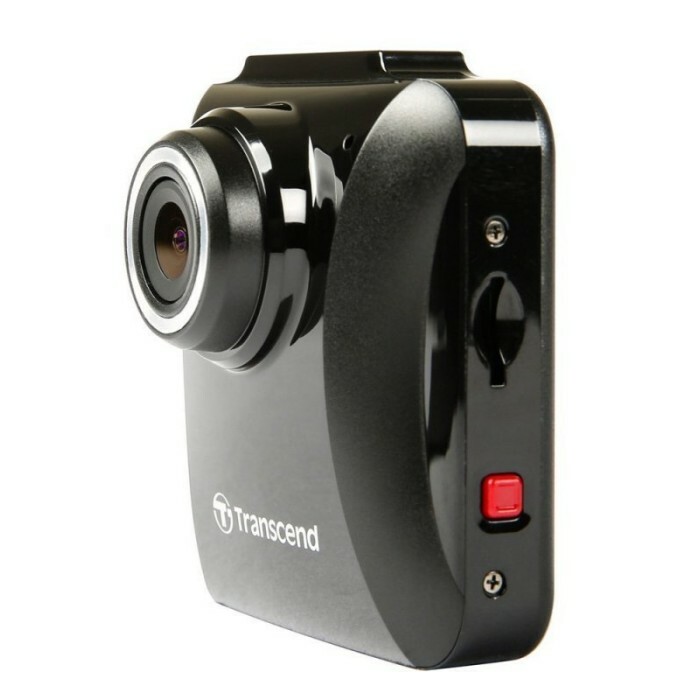 The 6 glass lenses plus 1 infrared filter lens are designed to prevent fogging from heat generated during extended recordings and to ensure your whole trip is recorded in high clarity. 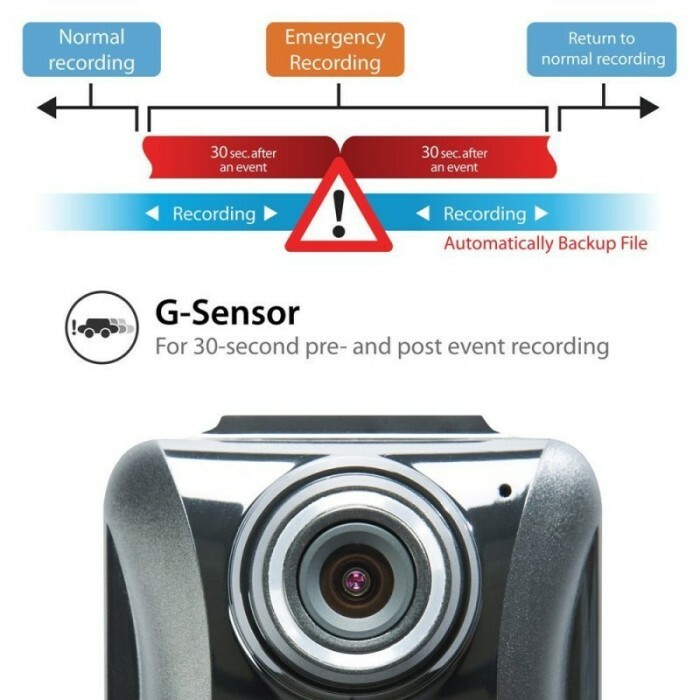 If the DrivePro 100's built-in G-Sensor detects an impact during recording, it will instantly trigger Emergency Recording mode up to 1 minute (30 seconds before and after the incident). Alternatively, you can also activate emergency recording mode manually by pressing the red emergency button; this is useful when situations occur outside the vehicle where you need to collect evidence in case of a fraudulent claim or lawsuit. Video files recorded in emergency mode are protected from being overwritten. For a better user experience, DrivePro 100 provides two packages for two different mounts - suction mount and adhesive mount. You can select your preferred mount and attach your DrivePro 100 securely to the windshield. 1. If the lighter socket in your car continues to provide power after the engine is switched of, unplug the DrivePro when the engine is off or idling to reduce unnecessary power consumption and prevent any unexpected problems. 2. For your own safety, please do not operate the DrivePro 100 while driving. 4. We strongly recommend the use of MLC- based memory cards to reach the optimal recording performance as car video recorders require extensive read/write. Using TLC-based memory cards on your car video recorder might result in unstable performance. 5. 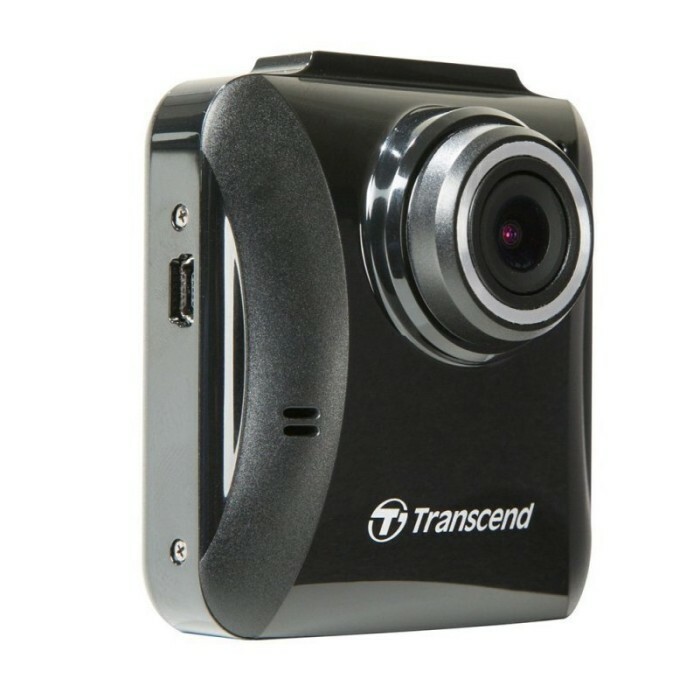 Besides the bundled microSD card, we recommend Transcend’s High Endurance microSD card as an additional purchase to reach the most stable recording performance. Please see below for the recommend microSD cards. How many would you give this product? Here at CarAudioCentre we offer a professional and reputable fitting service in all our stores. For all fitting enquiries and bookings please visit or call one of our nationwide stores. Our fitters can install your new car stereo, DAB radio, audio visual, speakers, subwoofers or amplifier. We can also help to connect your iPod or MP3 player to you existing audio unit and can offer the best advice on the right in-car entertainment for your vehicle, to further this more we also offer a total 100% custom installation service for demo and show vehicles. So if you have an idea come on in and run it past us, the possibilities are endless and we are never too busy for an enthusiastic chat about our favourite subject. "That our two year warranty on products is only applicable to purchases made directly from us and that have been fitted in one of our stores." For EXCLUSIVE deals and offers and to be the first to here about our latest and greatest products. Register NOW. Note: This is not an address for returning products. All parcels sent to this address will be rejected. Copyright © 2019 Car Audio Centre. All Rights Reserved. Site hosted by Space Data Centres Ltd..